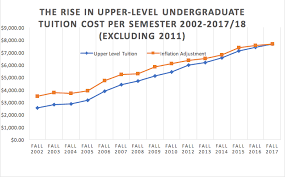 Across the country, colleges and universities keep raising tuition and fees. Today there are more than 100 colleges and universities that charge a sticker price of more than $50,000, according to data reported to U.S. News by 737 ranked private schools in an annual survey. Among the 10 most expensive private schools, the average tuition and fees is almost $56,900. By comparison, the average among all ranked private schools is significantly less, at around $35,800. At the other end of the spectrum, the 10 least expensive private colleges in 2018-2019 charge slightly more than $11,000 on average for tuition and fees. But average prices did go up by more than 4 percent among the least pricey schools compared with last year.